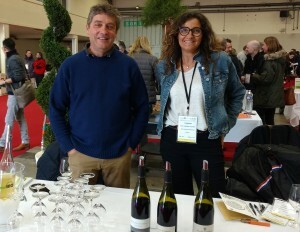 We will be present at the big organic wine fair in Montpellier from the 28th to the 30th of January. We invite you to discover our wines and the last vintages: Le Jardin 2018, Cazalet 2017 and Magnoux 2016, as well as our new white wine. Produced from equal parts of Grenache Gris and Sauvignon Blanc, it comes from our youngest vineyard called “Leuzet”, planted in 2015. Its fragrance, which is dominated by flowers, fennel, melon and pears, reflects well the place where the young vines are rooted. With its fresh aromas and crisp acidity, it will definitely find a place on your table. Frédéric Albaret is a professional grass grower. This winemaker, based in Cabrerolles in the AOC Faugères, has decided to let the wild plants and grasses in and around his vineyards grow again. Together with five other winegrowers in the region, he has been testing this farming method for several years, accompanied by experts from the Ministry of Agriculture. “In winter there are no problems, but in dry summers, the wild plants sometimes compete with the vines for water,” admits the winemaker who regularly goes with the mower through the vineyards. But the effort is worth it. “Plowing and weed killers destroy the soil structure. The soils are doing well today and above all they are much more alive, full of worms and bacteria. “And that also benefits the wine quality. 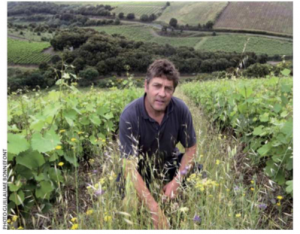 Frédéric Albaret not only avoids glyphosate, but does not even touch a single chemical spray anymore. He’s very pleased to be able to drive again “through the vineyards with the windows open”. A decision that requires a lot of dedication and observation. “If you renounce to pesticides, you must not even let plant diseases settle in the vineyard, since you have no way to intervene afterwards.” Today, he regularly sprays with copper and sulfur. The organic winegrower admits that yields went down at the beginning of the changeover. 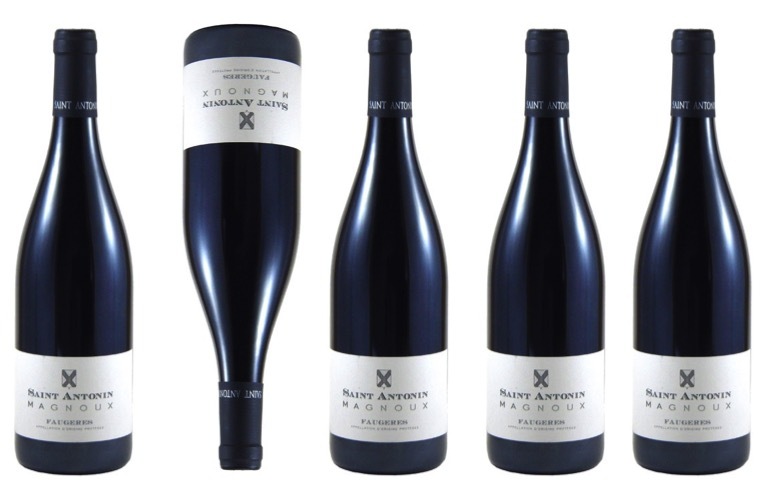 But today the Domaine Saint Antonin produces 100,000 bottles of wine on 30 hectares of vineyards. It’s spring time… and the first cuvées from 2017 are available! Its pale, pale pink salmon color demands sunshine! In the nose and on the palate, you will encounter summertime flavors, reminiscent of white peach with a few splashes of lemon juice, refreshing and light. A real terrace wine, which will bring you a lot of drinking pleasure at the end of the day, accompanied by honeydew melon and raw ham. Purple and luminous in the glass, this cuvee shows the same aromatic exuberance as in previous vintages: a whole basket of black fruits, currants, elderberries and fresh plums. The juicy taste of the fruit is reflected on the palate, together with some cinnamon and light, crisp tannins that subtly extend the taste. Fried pork chop with herbs, grilled vegetables, ripe hard cheese … An excellent table companion until autumn. 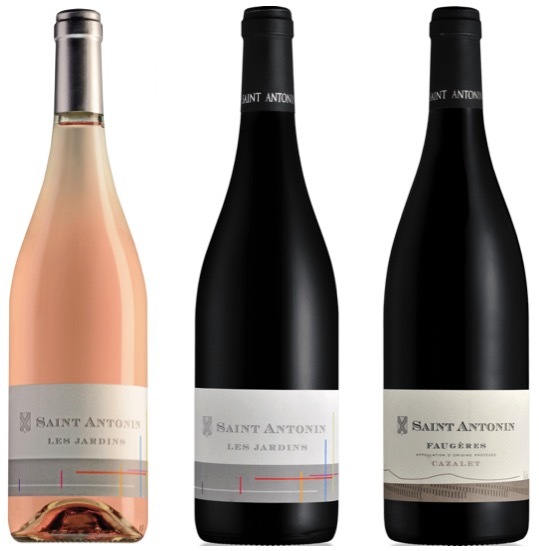 Ripe fruit in the nose – raspberry, blackberry, cherry – with the slightly wilder scent of black pepper and forest soil, as well as sweet nougat flavors. Soft and full-bodied on the palate, supported by straightforward and precise acidity and strong, but fine tannins. The abundance and the concentration of the wine express for us the great potential of this vintage. Enjoy it from next autumn with lamb or spicy fried mushrooms. What an amazing year, this still young born vintage 2018, which presents itself so differently from its predecessor. The winter was mild and rainy, except for an extremely cold period in February, which ourselfs and the vines will certainly remember for some time. While bud burst occurred very early last year, the vines have returned to their “normal” rhythm this spring: Vegetation woke up by the end of March and it so far benefits from the good water reserves in the soil. The latter will certainly protect the plants from drought stress well until July or even August. If the abundant groundwater and the warming sunshine could impel the vines to a fast, almost explosive growth, it has so far been rather moderate due to the natural ground cover and the still quite low soil temperatures. We have been observing this growth behavior of the vines for several years. More specifically, since we switched to organic farming for about a decade ago. Plants have gained strength and independence and are less vulnerable and less affected by changeable weather. It seems that they had found their own rhythm, a rhythm that we have to respect and want to respect by the way. The wines show a similar development and we adapt our working methods to their needs: hand picking at optimum maturity, depending on grape variety and location, long maceration with gentle extraction, slow ageing of the wines on fine lees in wood or in concrete tanks. For this reason, the Cuvee “Magnoux” 2016 will certainly rest in the cellar until the end of the year. “Les Jardins”, rosé une red, as well as “Cazalet” vintage 2017 were bottled last month and are at your disposal. 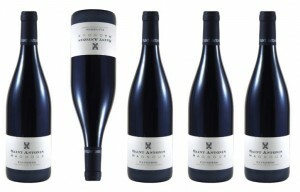 How is the Cuvée Magnoux 2012 doing presently? After several years of ageing in our fresh and dark cellars, we recently tasted a few bottles of Magnoux 2012. The wine is now ready for drinking, expressing all the power and finesse of this great vintage in Faugères. On the nose it offers an intense bouquet of fresh forest floor, cherries, plums and cocoa, while fresh acidity and silky tanins dominate on the soft, medium-bodied palate. A long, tasty, slightly salty finish, supported by fruit flavours, almonds and chocolate, with a touch of leather. Enjoy it now, with veal roast in herb crust, game birds or spicy roasted vegetables … Or let it mature in the cellar for another five to seven years under good conditions (temperature and humidity).